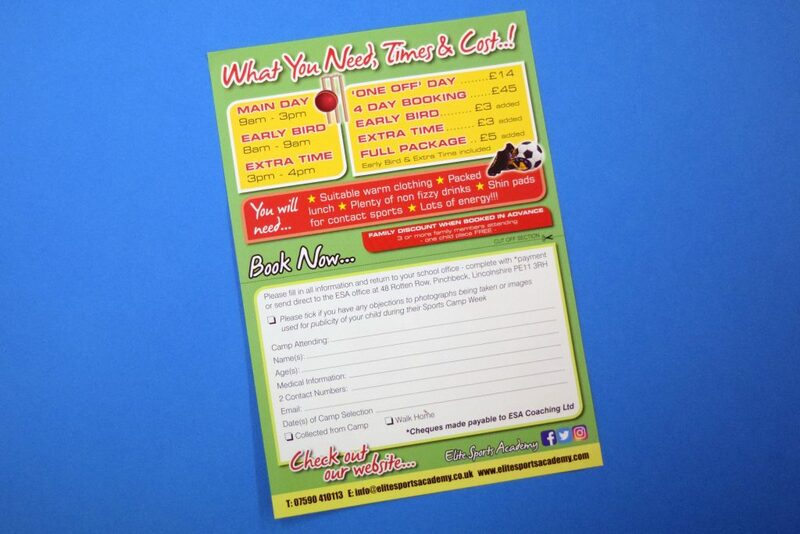 A5 Holiday Club Forms x 2 Kinds, Printed Four Colour Process to both sides of 130gsm white Essential silk art paper. Each school half term, Elite Sports Academy has a print requirement for us to produce an A5 double sided form for parents to fill out for ESA. These are then delivered into schools in the area for children to opt for a place in the half term weeks to try new activities, make new friends, develop new social skills and enjoy being active in a fun and safe environment. We have been working with Andrew from ESA now for a number of years, meeting the print requirements each and every time there is a new “theme” we can help with on his forms. 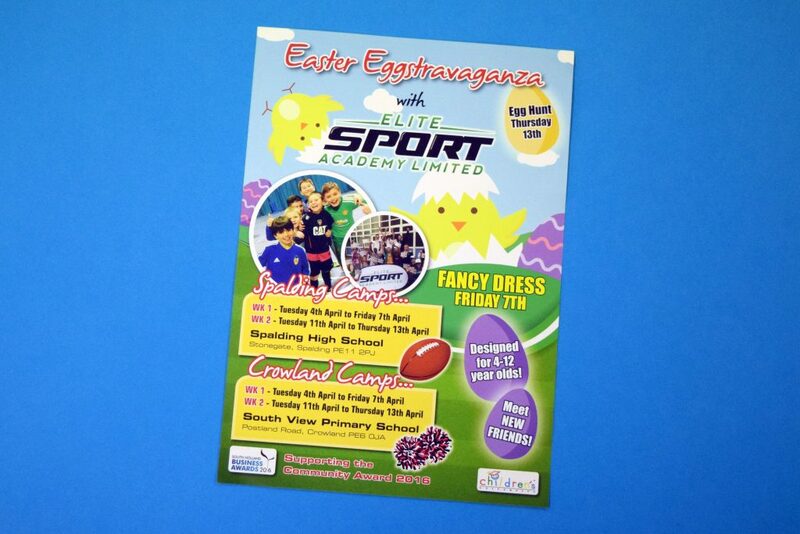 After a brief meeting with Elite Sports Academy, who advised us of the Easter theme they would like to go with on their forms, along with new dates and styles, our studio designed and submitted a PDF proof. After approval, the artwork is submitted through to produce the printing plates for our Komori Litho Press. Once printed on 130gsm Essential silk paper, these are guillotine cut to size and boxed by kind for our customer to collect and distribute within 5 working days from approval of artwork. These forms are available in a range of standard sizes and paper finishes: A7, A6, A5, A4, A3, DL (1/3 A4) or any bespoke size you may require, on various weight papers with a gloss, silk or matt finish. *Lead times can vary dependent upon work flow at the time of placing your order.